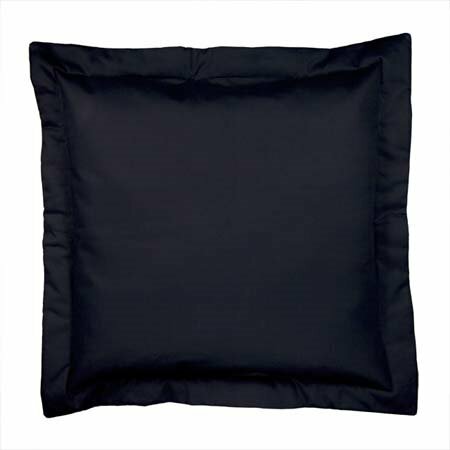 Euro sham in solid black cotton duck with flanged edge. Envelope closure on back. Designed to be used behind the standard sham. 26" x 26". By Thomasville Home Furnishings. Manufacturer UPC is 013864106696.